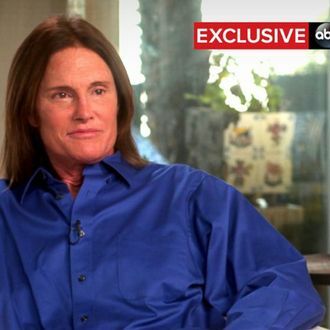 Diane Sawyer’s interview with Bruce Jenner attracted a very big audience Friday night on ABC. Just under 17 million people watched the tastefully done two-hour telecast, a big number for any TV show these days, but particularly impressive because the chat aired on Friday, when viewing levels are generally down. The Jenner interview did very well among viewers in all age demographic groups, scoring a 5.2 rating with adults under 50; it was also seen by about one in four younger women watching TV Friday. It will also likely rank as the most-watched TV broadcast this week. While news broadcasts generally don’t attract a lot of time-shifted viewing, there’s a good chance this one will add substantially to its tally once DVR ratings get calculated in the coming days. It would also be surprising if ABC doesn’t re-broadcast the special within the next few weeks, though as of yet, it hasn’t announced any such plan.